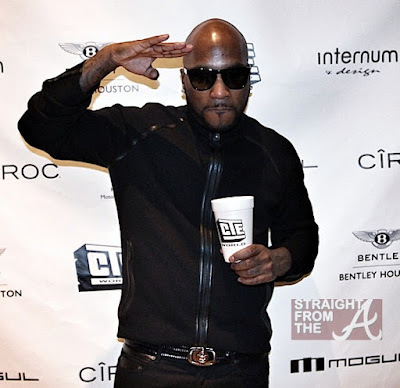 Jeezy has been giving the fans new music from his Trap or Die 3 album and this time he decided to release the video for "Going Crazy". The video also features French Montana, but the boys don't go to crazy in this video like you are expecting. Did you get a chance to check it out yet? The video for "Going Crazy" was pretty tamed for these two rappers as I previously stated. It only features two baddies and just the right amount of bling. The video looks to be shot in a warehouse type of building which really leaves no room to be super flashy or anything. It's cool that Jeezy is starting to release the videos for some of the tracks featured on TD3 since the album did so well with the fans. This album actually took us back to the first Trap or Die..... it's what we were waiting on! Jeezy is also set to release another project titled Snow Season before the year ends. Fans are kind of anxious to see what else he will be delivering. Maybe he will give it to fans as a Christmas gift, but we will just have to wait and see. In the meantime, check out the video for "Going Crazy" below!